A company is defined by the quality of its people. 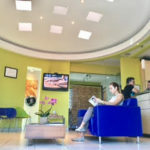 At Colina Dental, we are proud of our diverse team of experienced dental professionals, dentists and doctors that have made Colina Dental a recognized leader in Costa Rica dental care and global dental tourism for more than 35 years. Even the most beautiful smile can appear worn and faded by the years. 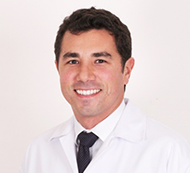 Colina Dental is fortunate to have Dr. Julian Conejo, a leading, globally recognized prosthodontist specializing in the replacement of missing teeth and the restoration of damaged or worn natural teeth. 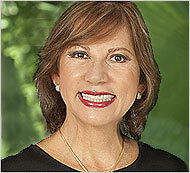 Patients from around the world travel to Colina Dental in Costa Rica to receive treatment from Dr. Conejo. Fluent in Spanish, English and German languages, Dr. Conejo is a favorite among international patients seeking a truly natural smile. Daily practice in restorative Endodontics and preventive dentistry. Member of the College of Dentists of Costa Rica since 1980. ENDODONTICS Advanced Course. ULACIT 2011. Refresher Course in Endodontics. Veritas University 2004. Leader in the local community. Frequents the gym and loves swimming. Since the beginning of his dental training, Dr. Clare’s passion has been to help restore or create fantastic smiles for his patients. This passion has led him to specialize in implants and complex restorations allowing him to resolve dental issues both big and small, all with incredible results. 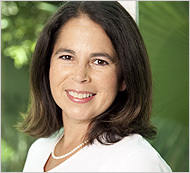 Dr. Clare is an active member in good standing of both the Costa Rican College of Dental Surgeons and the Colombian Prostodontics Association and has been published numerous times on topics relating to implantology and complex restorations. Professional Training in Cerec (CAD CAM) Technology. Specialist in pediatric dentistry, dedicated to the oral health of children from birth through infancy and adolescence, emphasizing in the promotion of dental health and early diagnosis, offering as well to the parents educational resources to prevent desease in first stages. Specialist in Pediatric Dentistry, University Barcelona, Spain 2013-2014. Master dentistry practice in Clinical Dentistry; behavioral management of healthy and uncooperative children using conscious sedation and nitrox oxide. Hospital residence- a year, in one of the leading medical centers in Europe for childhood and adolescence. Saint Joan de Deu’ s Hospital, Barcelona, 2014-2015. Behavioral management of children with systemic diseases and behavioral problems; conscious sedation, and general anesthesia. Specialist in Periodontics, Universidad Autónoma de Nuevo León, México, 1998. Master in Science, U.A.N.L. México 1998. 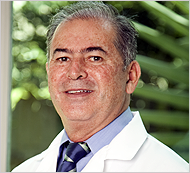 Professor of Periodontics at Universidad Latina de Costa Rica. Doctor in dental surgery, Universidad de Costa Rica. 1993. 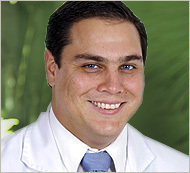 Member of Colegio Cirujano Dentistas. Recognized by Costa Rican Board of Dentistry. In 2010, Dr. Arnould graduated as an Odontologist at the University of Lille 2 in France and completed the Orthodontics and Dental-Facial Orthopedic Diploma in Paris. While practicing in France, she focused mainly on the surgical and prosthetic part. She dedicated her free time to assist maxillofacial surgeons recognized in 3 cities of France in orthognathic surgeries or oral cancer surgeries. Upon her arrival in Costa Rica, she joined the Colina Dental team in December 2011, where she reinforced her passion for dental aesthetics, which she takes pleasure in developing thanks to the technology and dental laboratory offered by the clinic. Her warm and professional treatment comforts her patients, gives them security and motivates them to maintain their oral health over time. Doctor of Dental Surgery, University of Lille, France. 2004-2010. Diploma in Orthodontics and Dento-Facial Orthopedics, Paris, France. 2009-2011. Member of the College of Dental Surgeons of France. Member of the College of Dental Surgeons of Costa Rica.